Native American tribes will protect bats from logging and place sturgeon in school aquariums as part of a recent round of federal grants. The Tribal Wildlife grant program was established by the U.S. Fish and Wildlife Service in 2003. More than $68 million has gone to tribes since then, said Christie Deloria, the Fish and Wildlife Service Native American liaison for Michigan. This year, $5 million was awarded to 29 tribes, three from Great Lakes states. 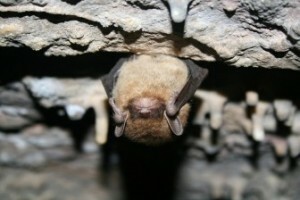 In Wisconsin, the money will be used to identify where bats live and help protect those areas. In Minnesota, it will help increase the number of Red Lake sturgeon and teach children about the fish to get them interested in conservation. In Michigan, the Saginaw Chippewa tribe is receiving $199,431 to determine what plants and wildlife live in the area and how to protect important species. “This is pretty exciting for [the Saginaw Chippewa tribe], because it’s really going to help them better understand the natural resources on their properties,” Deloria said. The grants are designed to build the capacity of tribes to conserve fish and wildlife and to help them conduct studies, she said. Only federally recognized tribes are eligible to apply. Projects are worked on by tribes alone or by subcontractors that they choose. In some cases, the U.S. Geological Survey receives part of the funds to do research or the U.S. Fish and Wildlife Service acts as a partner. The money is aimed at things like doing survey work to get an idea of species that are on the tribal lands, Deloria said. The Saginaw Chippewa tribe recently established a wildlife department and hired its first wildlife biologist. The Fish and Wildlife Service wants to help support such efforts, Deloria said. The grant in Wisconsin for $131,795 is going towards conserving northern long eared bats and little brown bats on Forest County Potawatomi lands, said Heather Stricker, the wildlife program manager at the Potawatomi Wildlife Resources Department, who applied for the grant. Researchers will assess roosting tree sites vital to the bats and look at landscape characteristics of the sites. “Short term it basically helps us identify what areas on tribal lands are most critical for these bats that are declining,” Stricker said. Identifying those areas is the first step toward conserving and protecting them. The tribe has a forest management program that allows logging in the area, she said. Areas with bats need to be identified so they can be protected from logging and other activities that might harm them. “In the long term, we’re hoping that this will help us create a bat conservation program for tribal lands,” she said. The bat species are not culturally significant for the Potawatomi tribe, but the tribe recognizes how important they are for the region, she said. Bats eat insects that spread human diseases and harm forest health, she said. The tribe received a similar grant in 2011 to study biodiversity on tribal lands. That project, completed in 2015, was meant to build capacity for the tribe to “monitor, conserve, and manage its wildlife resources,” according to the project summary. Knowledge of culturally important plants was also gathered from tribal elders. Spatial modeling and maps from the report are now used on tribal lands, Stricker said. The Minnesota grant gives $199,431 to the Red Lake Band of Chippewa to protect culturally important Lake Sturgeon. 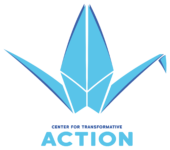 The focus is on “evaluation, rehabilitation, and tribal youth education of Lake Sturgeon in the headwaters of the largest tributary to the Red River of the North in the United States,” according to the awards list. It is the fourth Tribal Wildlife grant the tribe has received for Lake Sturgeon, said Pat Brown, the Red Lake fisheries director. The first one was received in 2007. After a dam was put between the Red Lake river and the Red Lake, sturgeon activity declined significantly, he said. The U.S. Fish and Wildlife Service will help restore them, Brown said. It has already added more than 90,000 young sturgeon and will use the 2016 grant to stock 20,000 more over the next two years. Lake Sturgeon have historically been an important food source for the tribe and part of their way of life, Deloria said. The U.S. Fish and Wildlife Service views sturgeon as a key species to restore, Brown said. The grant will also be used to place sturgeon in aquariums in middle schools, Brown said. He hopes that the kids will form a bond with the sturgeon, and protect them in the future after they are released at the end of the school year.